There can be no greater endeavour than that of serving one's fellow human beings at a time of great need. The William Purves Embalming Academy will strive to offer the highest standard of instruction, with an emphasis on practical embalming. The Academy aims to provide a state of the art learning environment in which its students can benefit from a vast knowledge of modern embalming techniques and modern equipment. This week long course (5 days) is an introduction to embalming for those with little or no experience in the funeral industry. This course provides a hands-on based approach to cranial/facial reconstruction, soft tissue injury to the face, and airbrush cosmetics. 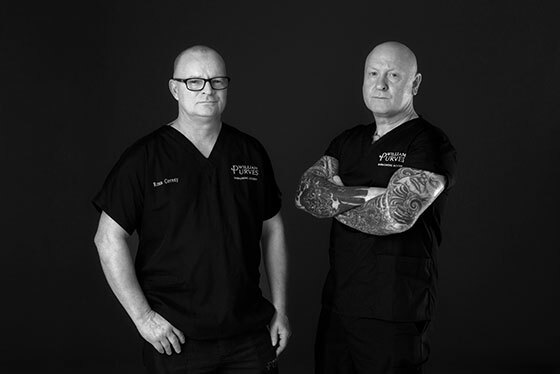 Together Martin and Ross have over 40 years of practical embalming experience, having embalmed in excess of 20,000 cases. In addition to this experience they also have an impressive list of specialist courses and affiliations to other organisations.